Flattering and feminine white brushed satin gown with split at left hip to show layers of tulle netting. 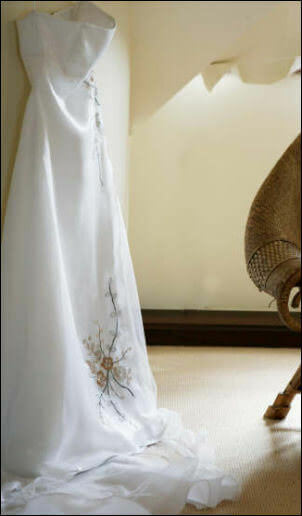 Delicately decorated in pale gold and green embroidery and sequins. Small tulle train. Professionally cleaned. So much fun to wear and a little different.